If you run a business, you need a blog. Of course, a blog is only as good as the blog articles posted on it. Blogging for SEO gives you several advantages over your competition; when done correctly. Blogging allows you to reach your audience in new ways, target long-tail keywords, boost your on-site SEO profile, attract links from other websites and establish authority within your industry. However, if your blog articles are not excellent, you may not experience any significant benefits. Writing and posting the perfect blog article will ensure you gain the trust of your audience. In addition, the perfect blog article will help you gain better ranking on Google, Bing, Yahoo and other search engines. 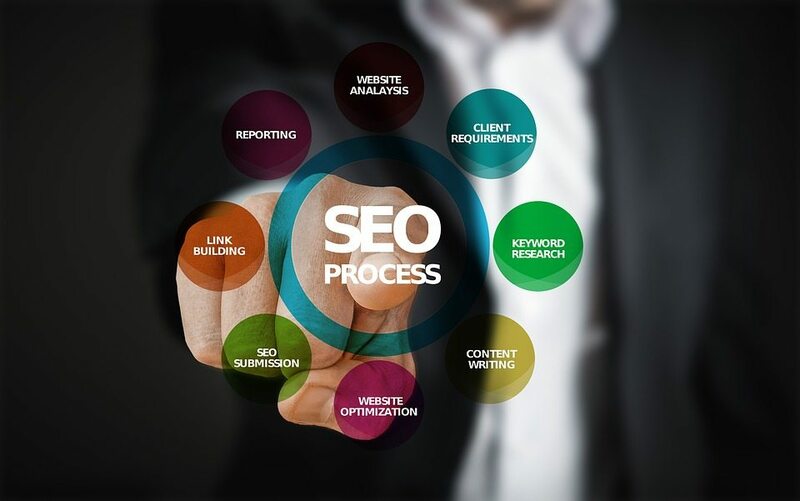 Below, you will find the elements you must include if you’re blogging for SEO and you want to post only perfect blog articles. While the topic you write about is important, the headline or title is vital to your perfect blog article. It needs to be catch and must grab attention. You have about eight seconds to capture the attention of your reader before they make a decision. If you have a catchy title, they will decide to click on your post and read or skim through it. In fact, an article from The Washington Post stated that only about 40% of readers go past the headline. A great headline might be the way you capture more leads with your perfect blog article. Once your reader gets past the headline and they’ve landed on your blog, they should find what they are searching for. Your article needs to fulfill the promises of the headline they clicked on to arrive at your website. The length of the blog articles doesn’t matter as much as the content itself. However, the very minimum word count should always be 300 words. Anything shorter won’t do the title or topic justice and won’t do your blog and website any favors. Reports have shown longer blog articles do rank better, but it’s not just about word count. According to Backlinko.com, the average article found on the first page of Google is 1,890 words in length. If you’re blogging for SEO, it’s a good idea to make sure you cover the topic fully. Don’t wrap it up just because you topped your word count goal. Once the headline and content structure are set, it’s time to optimize your perfect blog article. When you’re blogging for SEO, you need to consider more than just the content itself. Adding a featured image is the first step to gaining better ranking for any blog article. In addition, you want to use a plugin or tool to optimize the size of the image. Website load times are a factor when it comes to SEO and large images can make a blog article load very slowly. Another important factor for your perfect blog article is internal linking. When it comes to SEO, you want to make sure you’re linking to other pages and posts on your website naturally. If you mention a product you sell or a service you offer, link to the page displaying that product or service. Internal links help to pass SEO power onto other pages and posts on your site. While you don’t need to go overboard, adding a few links to other pages and posts on your site will help increase your overall SEO profile. Your Meta description needs to be great. Copying the first few lines of your blog posts simply won’t do the trick. This is the content showing up in the search results directly below your title/headline. A well thought out Meta description will likely increase your click-throughs. In addition, adding your main keyword into the Meta description will help with on-page SEO. An excerpt is a good choice for better SEO, as well. This content will be displayed on the blog page instead of the default first few lines of the post. This helps to ensure your blog page has original content instead of duplicate content. If you’re using WordPress and you’re blogging for SEO, the Yoast plugin is your go-to choice. It’s free and you can use it to ensure you always have great on-page SEO and readability. You want to green light both of these categories on all your perfect blog articles. Yoast is a great guide for beginners, but it’s also an excellent tool for even the most advanced website owner. After creating your content, adding your images and doing everything else on your SEO checklist, you’ll want to check Yoast. Make sure to plugin your main keyword phrase first. If you don’t have a green light, look at the recommendations. Fix as many recommendations as you can to ensure both the SEO and the readability are green lights. When a blog article isn’t directly about a product or service you sell, it’s still necessary to introduce your audience to your offer. However, you don’t want to come off as super salesy since the article isn’t a direct sales letter. A passive call-to-action or CTA allows you to politely introduce your offer to your audience. For example, we offer Managed Web Services including blog articles just like this one, which you can find more information about here. While this perfect blog article isn’t a sales page, it still passively promotes a service fitting with the topic. You can do the same thing with your perfect blog articles or let us handle all your blogging and SEO needs. If you want to gain the massive benefits blogging can provide, you need to create perfect blog articles. When your blogging for SEO purposes, it’s important to get it right. Use the guidelines above and you’ll have great, powerful content ready to provide high ranking for your website.